French sailor Paul Meilhat won the IMOCA monohull division of the Route du Rhum-Destination Guadeloupe transatlantic race. 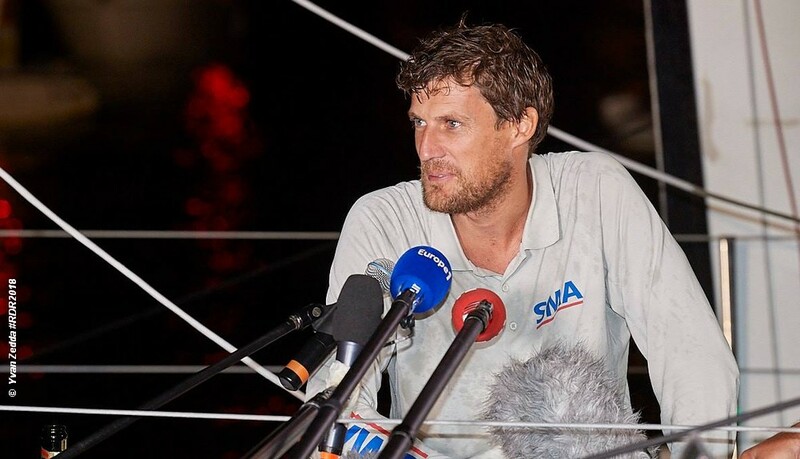 At the helm of his non-foiling SMA, Meilhat crossed the finish line at Pointe-à-Pitre in Guadeloupe at 20:23:18 local time (01:23:18CET) after 12 days, 11 hours 23 minutes and 18 seconds at sea. The French yachtsman from Lorient took the IMOCA race win after benefitting from a 24-hour time penalty imposed on British sailor Alex Thomson who crossed the finish line first on Friday morning on Hugo Boss while holding a margin over Meilhat of more than 140 nautical miles. Meilhat was some 11 hours and 48 minutes inside the British skipper’s total elapsed time, that included the 24-hour penalty. Yann Eliès finished in second place behind him just over two hours later on UCAR-Saint-Michel and 2004 Vendée Globe-winner Vincent Riou, is on course to finish third on PRB. In the Class 40, Yoann Richomme of France is now 108 nm ahead of Britain’s Phil Sharp with 785 nm to run, they are expected to arrive on Monday.